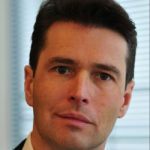 Bio: Marcell Vollmer is Chief Digital Officer for SAP Ariba and is responsible defining and driving Digital Transformation for customers of SAP Ariba globally. A thought leader in procurement, supply chain, finance and shared services, Marcell’s expertise lies in defining digital transformation strategy and to make Run Simple a reality for global customers and consumers by delivering high cost and additional procurement savings. Previously, he was Chief Operating Officer for SAP Ariba where he successfully developed and led global business development, procurement, go to market, sales operations, and enablement. And prior to that Marcell wasChief Procurement Officer of SAP and was responsible for the reorganization and process optimization for and end-to-end source-to-pay organization. Since joining SAP in 2005 he has held various leadership roles involving restructuring, improving project efficiency and execution of global programs in finance, procurement, sales, human resources and post merger integrations.